We are always looking for ways to get involved and help our local community. 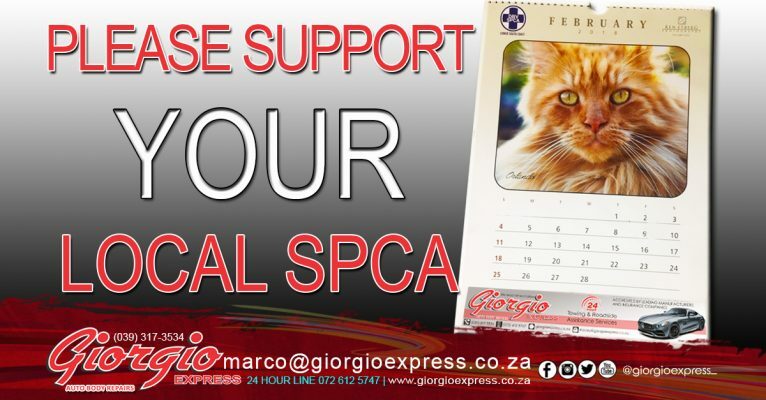 For this specific project, we sponsored a page in the stunning Lower South Coast SPCA calendar. We encourage all other local businesses and residents to please support your local SPCA. Together we can make a big difference. Approved service centre for: Chrysler, Jeep, Dodge, Fiat, Alfa Romeo, Citroen, Peugeot, Ford, GWM, Honda, Hyundai, Kia, Lexus, Mercedes Benz, Mitsubishi, Nissan, Toyota, Volkswagen, Smart and Mazda.